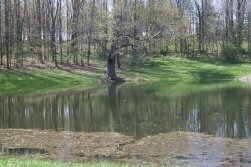 4-H Camp Ohio is 300 acres full of resources available for use in the Nature Studies area. We offer over 30 different programs on anything from Adaptations, Birds, Bugs, to Wildflowers, Wild Edibles and Wetlands. There are several areas to choose from. 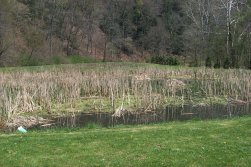 We have a natural stream running through the middle of camp to do a stream study, a pond for pond study, a natural wetland as well as a wetland wastewater treatment facility. We focus essentially on soil, water, forestry, wildlife and people (whose decisions affect the other resources). We feel it is important for children to develop an awareness, better understanding and appreciation for their natural environment and their relationship to it. We have found that by stressing sensory awareness and ‘hands-on’ activities the understanding and appreciation is more effective than the lecture approach; learning suddenly becomes fun when the child is given the opportunity to explore and experience first-hand. Come in, explore, and discover things you never knew about our natural world. Learn what you can do to help save our environment. 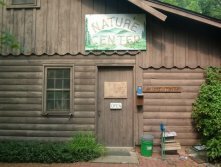 The Nature Center is open whenever a naturalist is in. It offers hands-on activities, live critters, displays on fossils, insects, endangered species, study skins and mounts of several mammals and birds, and even a small library. You can spend just a few minutes browsing or hours investigating. Stop in and see us! 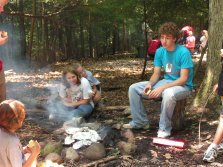 4-H Camp Ohio has twenty-five cookout sites available near the log cabin. These sites will give ample opportunity for campers to try their hands at cooking their own meals. A good cookout takes about two hours to insure a pleasant, relaxed eating experience.